로그인 후 예매 진행하시면 됩니다. ※ 본 공연은 글로벌 예매서비스도 진행 예정입니다. - DAY6 1ST WORLD TOUR 'Youth' [Encore] 콘서트는 휴대폰 또는 I-PIN으로 본인 인증절차를 완료한 회원만 예매가 가능합니다. - 반드시 공연을 관람할 본인의 이름으로 예매 해주시기 바라며, 원활한 예매 진행을 위하여 사전에 본인인증(휴대폰, I-PIN인증)절차를 진행해주시길 바랍니다. - 본인인증 후 반드시 로그아웃 후 재로그인을 해주시기 바랍니다. 재로그인을 하지 않을 경우 반영되지 않으니 착오 없으시길 바랍니다. - 글로벌 페이지 회원의 경우 예매 시 별도의 본인인증절차는 없으나, 현장티켓 배부 시 본인 확인이 진행되며 이후 티켓 수령이 가능합니다. *Purchase Limit: 1 ticket per person for each show. 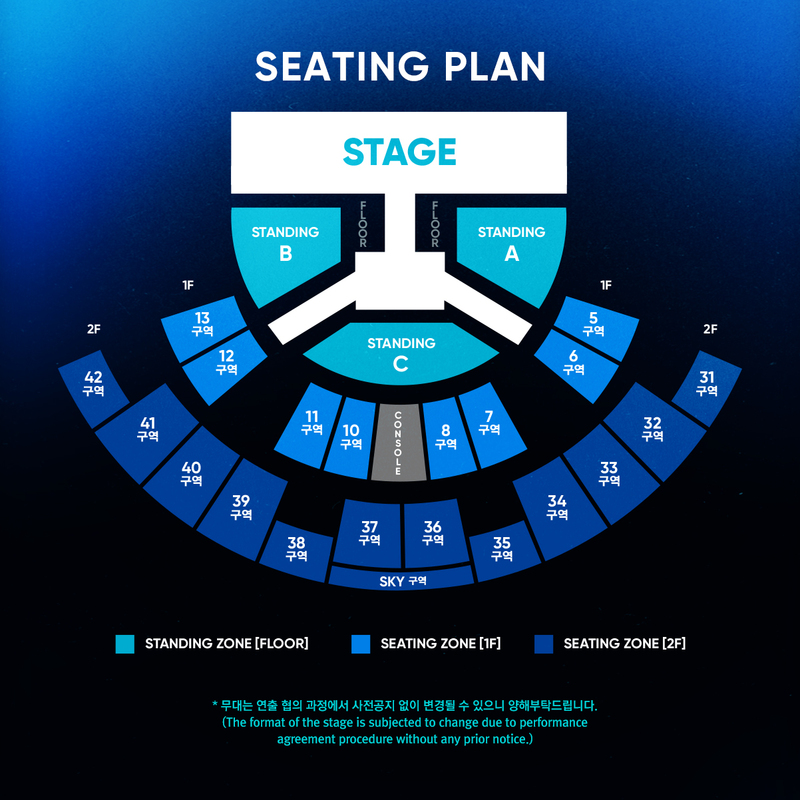 - FANCLUB PRESALE is available without extra certification process if you log-in with your YES24 ID, which was used to register DAY6 OFFICIAL FANCLUB 'My Day' 2nd Generation on YES24. *Purchase Limit: 2 tickets per person for each show including FANCLUB PRESALE. ※ Global Ticket Service will be available. - To be able to collect and view the concert, please make sure to reserve tickets for yourself under your name only. - Those who reserve tickets on the global page do not have to make an authorization via mobile or I-PIN to be able to reserve tickets. However, you will only be able to collect your tickets on-site after presenting proper ID.